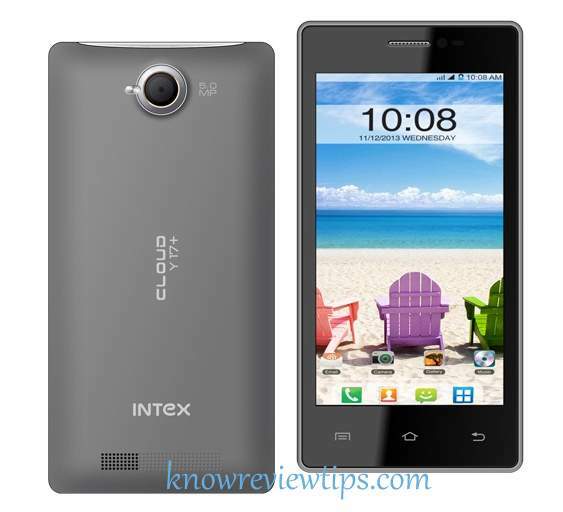 Intex Cloud Y17+ has been announced at uknown Price. The Intex Cloud Y17 plus / + comes with entry level specifications and features. It has 4 inch IPS display having 480 x 854 pixels resolution. It runs on Android 4.2.2 OS and Supports Dual SIM. The Cloud Y 17+ gains the strength from 1.2Ghz dual core CPU paired with 512MB of RAM. It would compete with recently launched Videocon A29 and Karbonn Titanium S1 Plus with 1GB of RAM. The phone has limited 512MB of RAM and 1500 mAh battery. The Intex Cloud Y17+ will be available in Grey and White colors.